The California Lemon Law Group, Inc., represents all Benicia, Dixon, Rio Vista, Vacaville, Vallejo, Fairfield or Solano County residents and our lemon law specialist can meet with prospective or current clients in our Walnut Creek office anytime. Alternatively, we can meet with our clients at their residence or place of business in Solano County if that is more convenient. The California Lemon Law is a very specialized area of the law and our attorneys are extremely experienced with all aspects of the statute. The California Lemon Law Group, Inc., is a law firm dedicated to the enforcement of the California Lemon Law, also known as the Song-Beverly Consumer Warranty Act, to protect the rights of California’s consumers. The California Lemon Law attorney who founded this law firm has extensive experience with the California Lemon Law and she is considered to be a specialist in the field. The lead attorney at The California Lemon Law Group, Inc., has spent the last seven years perfecting her application and enforcement of the California Lemon Law in both California state and federal courts. She has litigated and settled more than 1,000 lemon law cases with incredible success. The California Lemon Law Group represents clients at absolutely no cost and our billed fees and costs are lower than those at most other lemon law firms which means that our clients receive the greatest settlements. 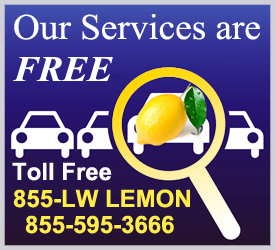 If you are a Solano County area resident and you believe that you have a lemon vehicle, please contact us today so that we can begin your lemon law case right away. 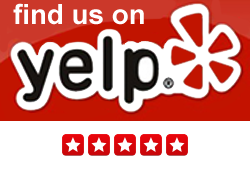 Debbie has worked with me on resolving my lemon law case since mid 2011. She's made handling very frustrating situation much easier than it would be if I were handling this by myself. Her communication with me has been nothing but open, honest, and prompt. Responses to questions or inquiries I've had through the process are always addressed quickly, answered thoroughly and in terms I can understand. Even though my case has not yet been resolved it's been a pleasure working with Debbie and her firm.